➤ ENDLESS IMAGINATION FOR YOUR CHILD This creative building blocks set combines 3 form sets in one, Robot figure, Construction car and an Animal figure - all made out of building bricks connecting singly to each other. ★ROBOTRYX★ Set has designed by 3 STEM learning form of BUILD ❯ UNDO ❯ REBUILD idea in order to keep your child curiosity and creativity at the same level. We have created this engineering toy set understanding your child needs of new excitements every-time they play. ➤ COLLECT THEM ALL - Collect all 5 ROBOTRYX action figures in order to build GARANTRON, a breathtaking 9" tall robot, that combines all features and tools from the other models. With a total of 594 pieces we guarantee hours of fun and excitement for your child as he builds the detailed and colorful giant. ROBOTRYX Mini Building Bricks are a fun way for your child to expand their intellectual curiosity and creativity by exploring the many possibilities and let their imagination run wild. The small brick size enables you to build in great detail, and the building process is designed to be both educational and fun for kids and adults. 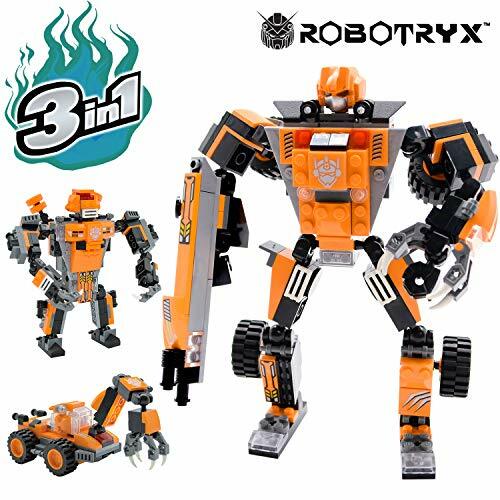 TRIPLE THE FUN ➟ 3 awesome scenarios with 1 robot building block kit. 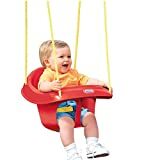 PLAY TIME JUST GOT REAL ➟ Kids can experience real life action in all 3 variations through the use of the 360º free movement. OUR STEM WAY ➟ Awaken your child's curiosity as they create, transform, demolish and re-create unique characters. MORE THAN JUST A BRICK SET ➟ Within this amazing set you'll also get an awesome action-packed coloring poster of the breathtaking GARANTRON completely free! On top of that, we thought about every detail and added an original Crayola crayon pack inside every box to guarantee your kid's satisfaction from the moment they open the box. All ROBOTRYX products are made to make you and your kid happy. If for any reason you are not pleased with your purchase, just contact us within 60 days and we will give you a refund or replacement, no questions asked. Our mini bricks are thoroughly tested by us to ensure durability for endless fun. With all of our products made from BPA-FREE, NONTOXIC, KID-FRIENDLY materials, we ensure that they are not only fun but also safe for our customers. We carefully check every package to ensure it contains all that's necessary for your child to enjoy the product from the moment he gets it. These mini blocks are not suitable for children under 4 years, as they present a choking hazard.